Alphedia Arara has been invited this month to channel the Galactic Masters during this full moon in Libra. The Galactic Masters are master souls of the different star races who are helping us at this time on Earth as we journey through the Ascension Process. The focus of their teachings and healing this Full Moon is to aid us with aligning with our own unique Divine Blueprint. When we fully align with our Divine Blueprint as a soul life starts to flow with greater ease. We can access greater wisdom, creativity and inspiration. We let go of the struggle, the manifestations of pain, fears and unworthiness as we show up in our true soul light. This Full Moon occurs at 12.12pm BST and is in the Sun sign of Libra. This is the air sign of balance, and tellingly, the moon in the 12.12 portal will be kick starting the transition of energy shifts until the Eclipse season again in July. The Galactic Masters from Orion, Sirius, Arcturus, Andromeda, Pleiades, Lyra and Vega in particular will be downloading into our consciousness the codes that our Divine Blueprints are seeking to fast track us on this next stage known by them as the ‘Second Life’. Through this transmission they will be supporting the further activation of the Holy Grail codes within us as well as a further activation of the Higher Mind consciousness. 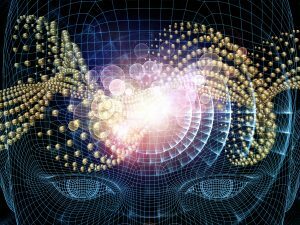 The Higher Mind is able to override, through our upgrading DNA patterning, the Lower Mind projections which are affected by the distortions of the 3rd Dimensional Human template. As we move further in to the Higher Mind consciousness that is relevant to the new Divine template we reawaken the full Divine Blueprint within us. One in which the ego has no control over. This will be a journey that will culminate in the first eclipse in July. As always Alphedia will channel live the Galactic Masters to give you an insight into their understanding of the process Humanity is going through. You will then receive a Galactic Masters Ascension Sphere attunement healing and be taken on a self-realisation exercise to receive deeper understanding of where you are at on your soul’s journey at this time and any blocks that are stopping you embodying your true Divine Blueprint currently. You will then be led on a powerful channeled guided meditation by the Galactic Masters supported by Alphedia’s channeling of the sound codes through the singing bowls, percussion, crystal bowls and voice work. Personal messages will be channeled for those in attendance and after for those taking part distantly – if the workshop is booked at least one hour prior to the workshop taking place. 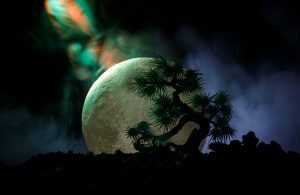 As always the Full Moons offer a unique opportunity to receive direct guidance through channeled wisdom for the next stage of your path and this moon in Libra will allow everything to settle from the first quarter of this year, 2019, and allow you to move on from an even keeled space to the next stage of your soul’s evolution and journey. “Greetings greetings, greetings dear ones. It is with great honour, privilege and joy that we come forth as a collective consciousness. We are observing great shifts occurring on Planet Earth and it is a very exciting time for all those of you who are hearing the call of your soul within. Although you may have had ups and downs, difficulties along the way, know that things start to smooth out through this Full Moon Portal. The 12.12 portal allows you to access the Higher Mind consciousness, allows you to transcend the lower third dimensional aspects of self and to start the unravelling of their affects on you going forth. This is a moon that starts a journey for you, a journey into a deeper knowing of who you are and you will be each assigned two Galactic Masters from different star races that are most aligned with your Divine Blueprint. They will bring forth not only wisdom on your Divine Blueprint and the next stage of your soul’s evolution, where you are moving to next to be in greatest alignment, but they will also support you in integrating the Higher Mind consciousness into the lower physical self through your DNA light codes. We will take you up in the spaceship to a Healing Temple that has been opened up for you in Andromeda. Now the Andromedans were one of the first races to seed the Earth and they are now supporting in particular their own Andromedans who are walking currently on the Earth in moving into the next stage of Higher Light Code Integration. They have been developing a healing that will support you all to transcend the lower ego mind aspects. You will also receive from the Sirians and the Lyrans a disconnection from a gene manipulation from the Anunnaki which causes you to drop into a default ‘fear of authority’ pattern. Know that this will bring a greater shift in the calmness and the balance within the inner self. 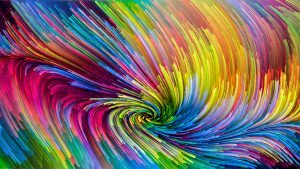 We will also use colour coded star frequencies, a bit like essences, to support you in this integration through alignment of your true Divine Blueprint as a unique soul of light. Know you are ready now for this next exciting stage of your Earth walks. It is a privilege for us to offer this service to you. Please book at least one hour before the workshop takes place to receive a personal channeled message from the Galactic Masters after the workshop. These are imbued with the essence and presence of the Galactic masters, to enhance your growth and experience while engaged on the workshop.